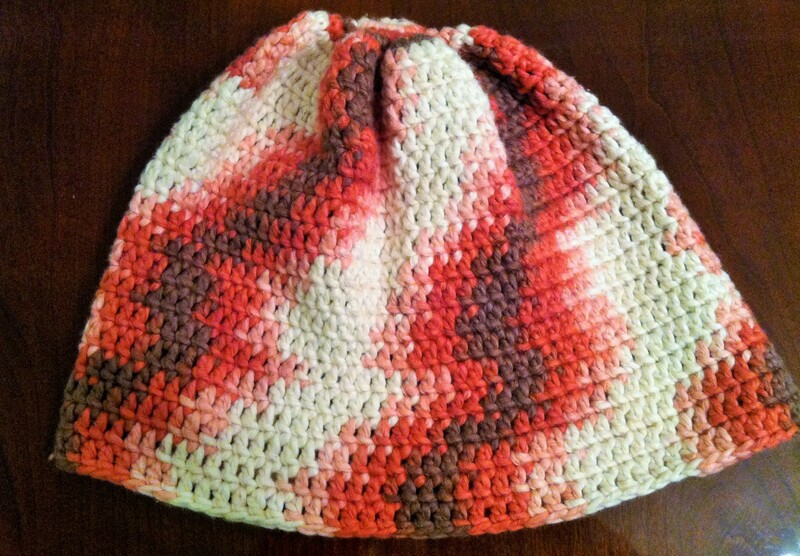 Crocheted my fellow a beanie! Inspiration from Kathy Lashley’s DJ’s Guy Hat. Grandgirl needed a hat! 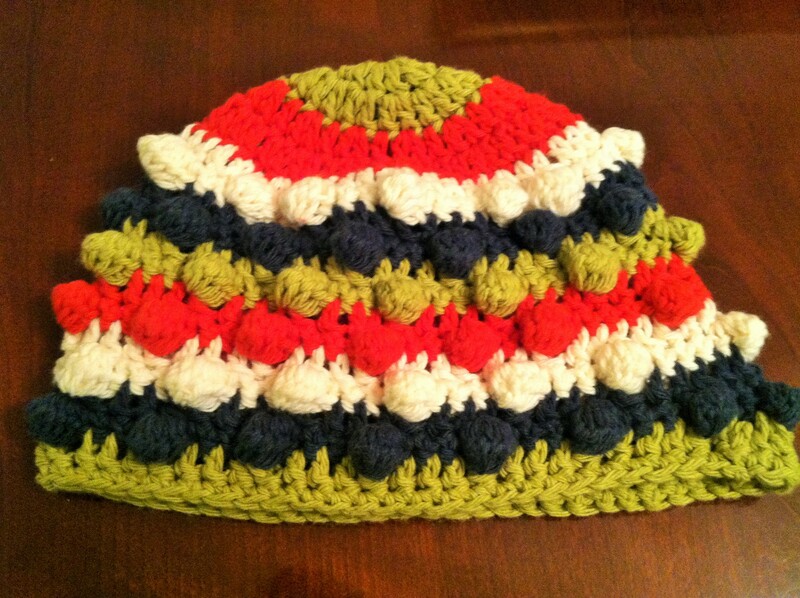 Inspiration from Wooly Wonders Crochet! This was so quick to whip up so I made several for Bailey’s teachers last Halloween. I found the inspiration from Repeat Crafter Me. I just left off the jack o’ lantern face and changed up the twine and leaf to a simple chain drawstring. 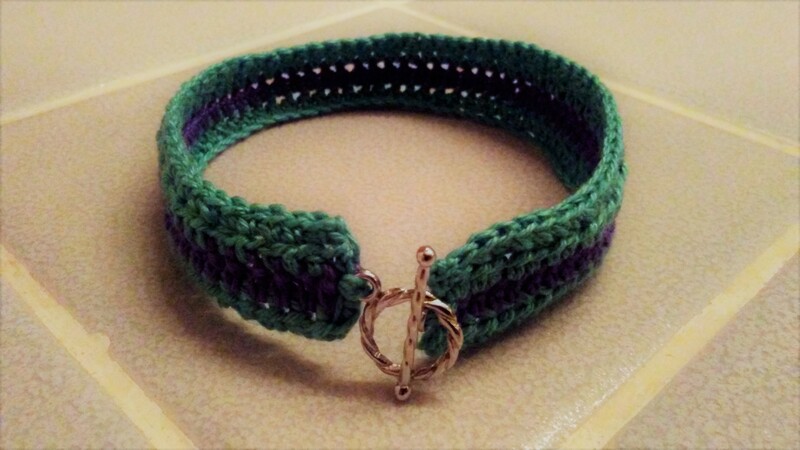 Single crochet long enough to go around your wrist. Back and forth with sc until you reach the desired width. Add in a color change 🙂 Sew on a pretty clasp and your all finished! 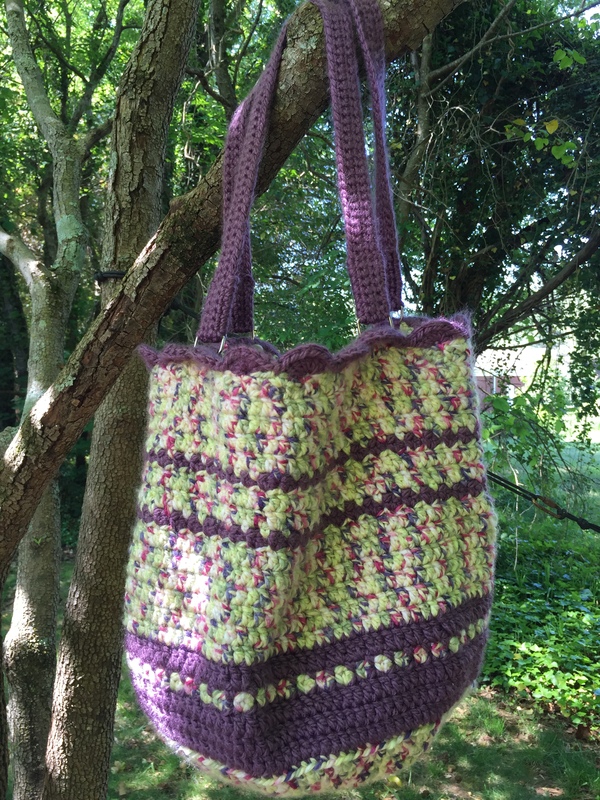 I found this crochet Hemp Bag pattern at Chabepatterns. Maria Isabel does each of her pattern tutorials in English and Spanish and they are so helpful. In her original pattern she uses hemp, but as I had no hemp on hand so I used wool yarn as a substitute since it is very sturdy and a little course. The bags worked up quickly and work as great lunch bags! 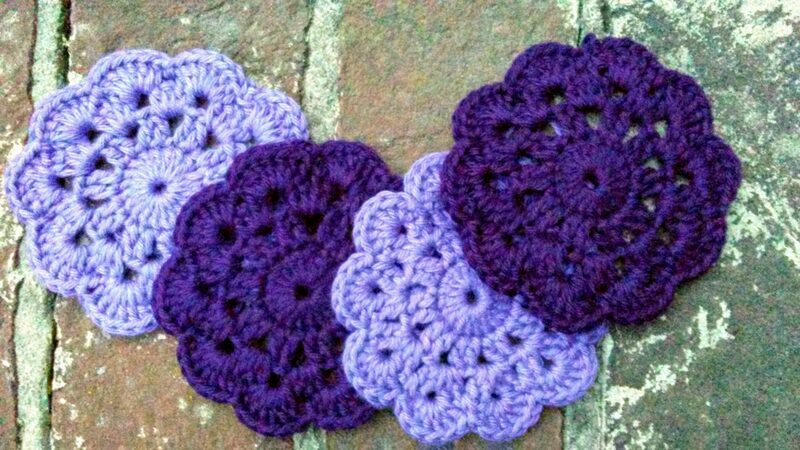 Just made these pretty crochet coasters from Bella Coco. For Momma’s third annual trip to the Isle of Palms she commissioned me to crochet a large tote bag for her to take along. 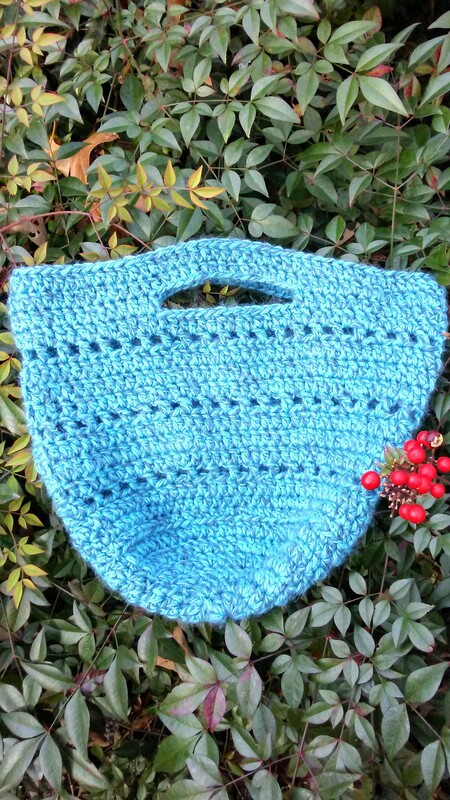 We looked at several different crochet patterns and finally decided on something quite close to Attic 24’s Jolly Chunky Bag. 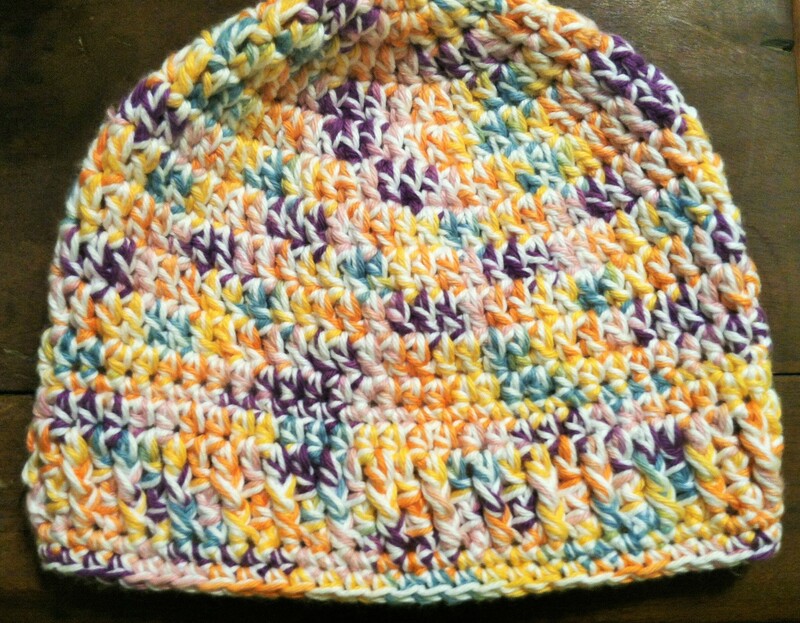 I used chunkier acrylic yarn, a larger needle and added a few different stitches but basically the same pattern idea. We both think it finished up quite nicely! Three days prior to our recent east coast snowstorm I began to crochet a poncho. Having never tried one before I had been searching a long time for patterns that interested me. 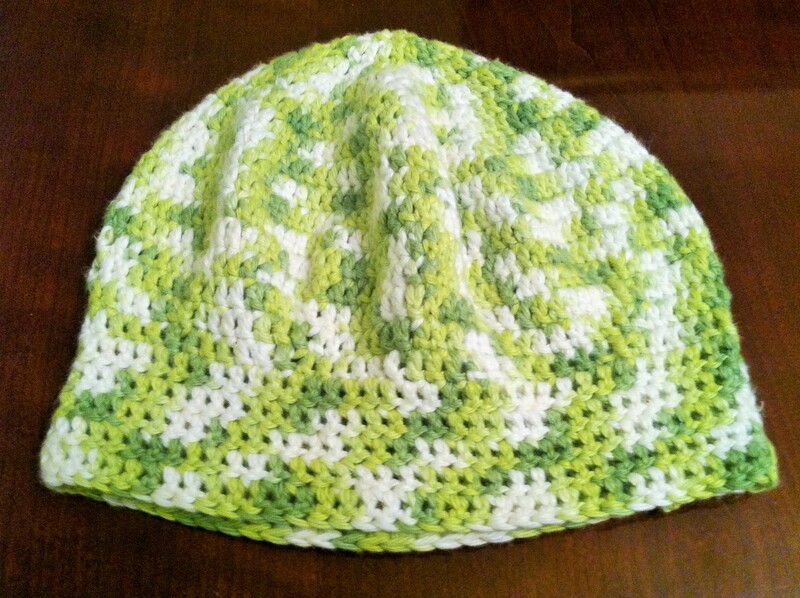 I found an amazingly talented crocheter Nadia Fuad on the blog Yarnutopia. Nadia is a beautiful young woman who not only has the easily understandable free written poncho pattern on her blog, she has a video of step by step instructions. Videos and YouTube are so helpful to me when working on something new or learning new stitches. She actually has tons of crochet patterns written out on her blog with individual videos of instructions on her own YouTube Channel. I have already picked out several more and placed them on my “want to make” list. I do so love lists, especially fun ones! Nadia’s pattern is the Pizzazz Poncho crocheted up with multiple individual rows of colors while I chose to use one type of variegated yarn by Loops & Threads Impeccable in the color of Holland. NOW, this is 100% acrylic yarn. My very favourite for my projects is either 100% cotton or 100% wool, but I simply could not pass up the springtime colors that this yarn was lending to my winter project. The entire body of my poncho took two full skeins, approximately 536 yards. Another change I made was in the collar. Nadia crochets the neck of the Pizzazz Poncho to be straight across in the back and V-neck in the front. I chose not to make additional necking and to simply trim the existing neckline and poncho border in two rows of singe crochet, using Impeccable in Grass. 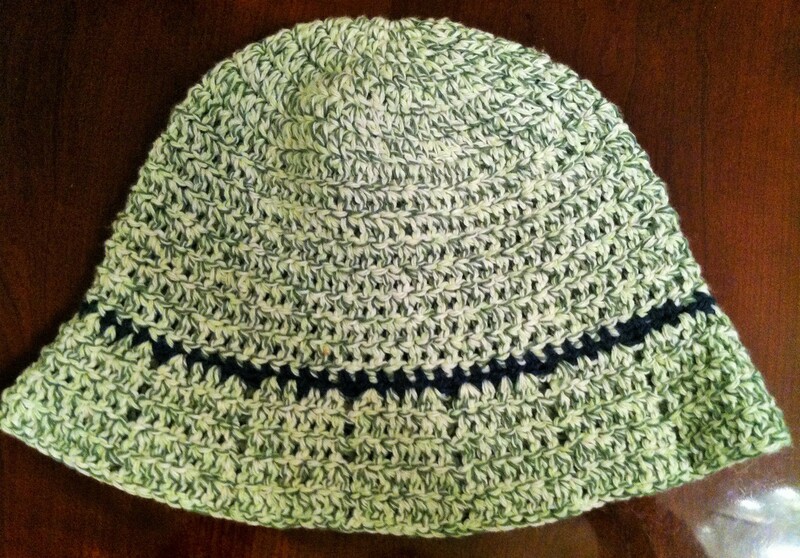 Since I didn’t differentiate between the front and back with the neckline, I added a little Grass green bobble to the point in the front. 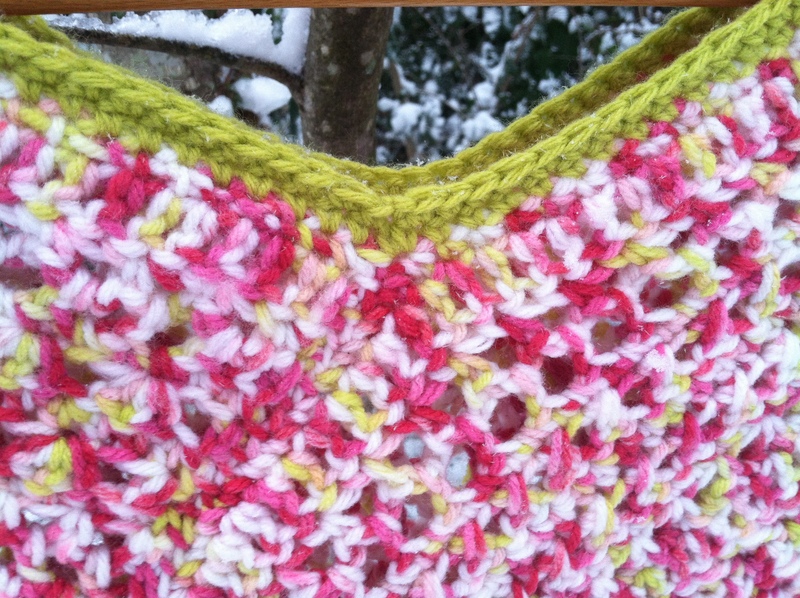 With the children playing in the falling snow, I sat snuggly inside with a warm cup of coffee finishing my poncho. 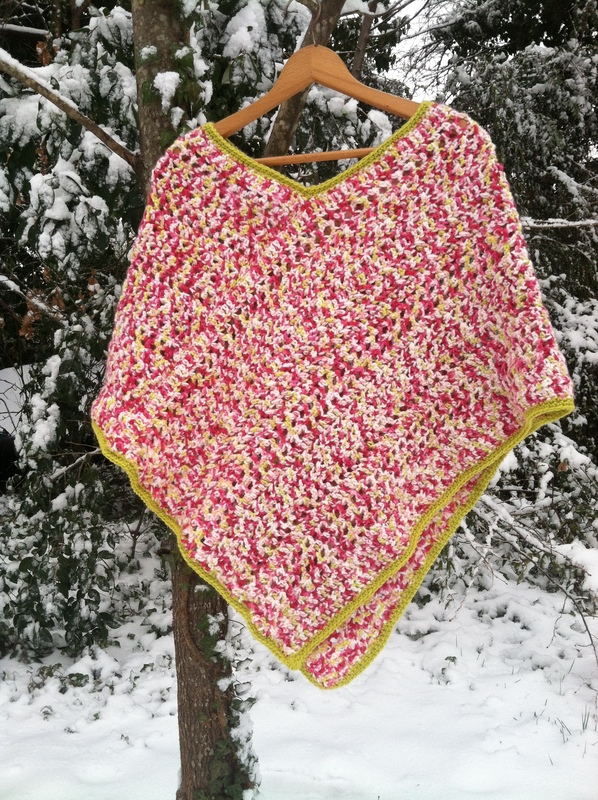 I stepped outside just long enough to photograph my very colorful brand new handmade poncho against a snow-covered background. My Liveygirl arrived in the snow just in time for me to finish and give her a snow day gift. Her first thought was, “Oh, a Strawberry Poncho!”, so that’s exactly what I called it. 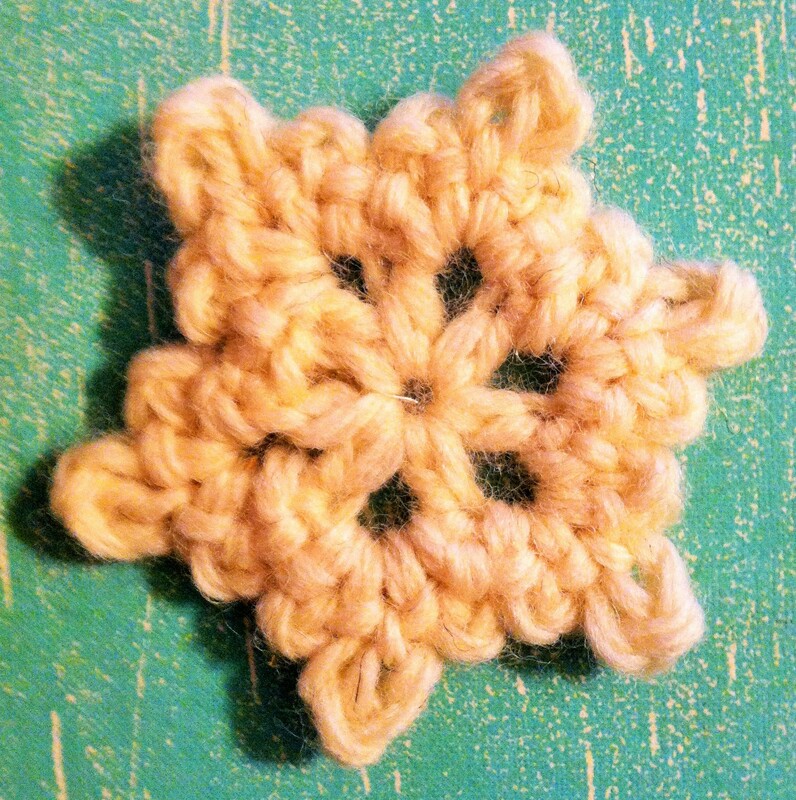 Lastly, in honor of the snow I couldn’t resist a small crocheted snowflake with this easy pattern from Flower Girl Cottage. 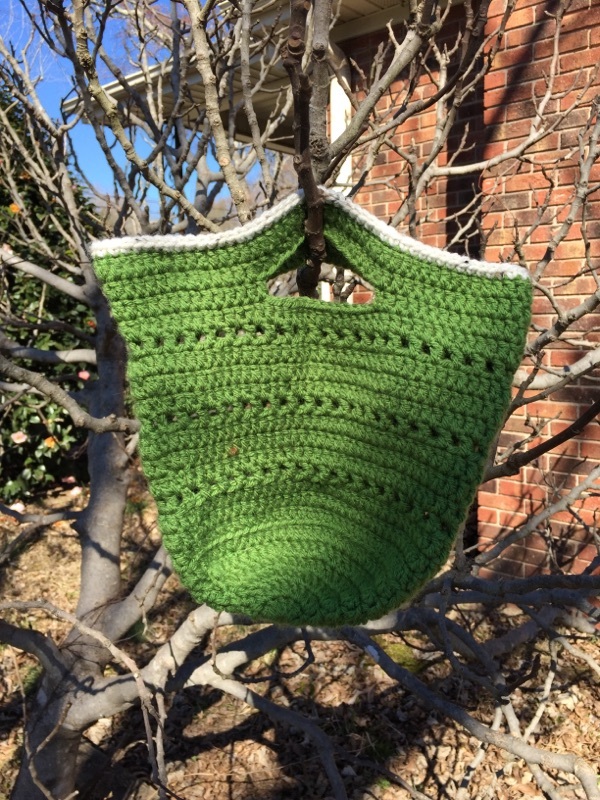 Have you ever crocheted a poncho? What is your favourite poncho pattern? Hats are wonderful for rainy days, bad hair days, gym days, and early morning soccer games. In bygone eras ladies were expected to wear hats (and gloves) or they weren’t considered dressed for society. I love hats and that era and think women look so lovely wearing them all dressed up in their finery, but my favourite type of hats are of course my crochet hats! In honor of National Hat Day I thought I would take them all out of their wrappings and see just how many crochet hats I do have. It was a fun mini task and along the way I found a few that had seen better days so out they go. Are you a hat wearer? Are you a hat collector? Do you have too many hats hanging around? Today is an awesome day to sort through them and pick the ones that you really love to wear, and the ones you don’t. Do something for yourself & toss out any hats you no longer wear or like the style of. ~ I would love to know how many hats you have in your closet & how many you decided to donate or toss, please share in the comments section below. Thanks! ~Originally written August 24, 2014. Summer vacation is nearly over, we’re down to just a few days even though the heat will linger for months to come. Meet and greet with the new teacher was this week and what a beautiful and young woman the new teacher is. She looked as if to be beaming with fun and inspiration for children and learning. Very excited about that! Tuesday will mark the first day of 5th grade and the last of my three Huckleberries to begin their last year in elementary ~ grammar school. The door to middle school is just a single year away and one that I am not ready to open for the last time. Maybe it is a Mommy-myth but it seems that as long as your babies are in Grammar School, they are still your little people. Making memories with each of my Huckleberries along their way in life has always been something we have tried to do; Special Days to commemorate the beginning or end of a life event such as the beginning or end of a school year, family birthdays, or just a special day just because one was needed. We had a Bailey Special Day yesterday for the beginning of school and because we all needed one. 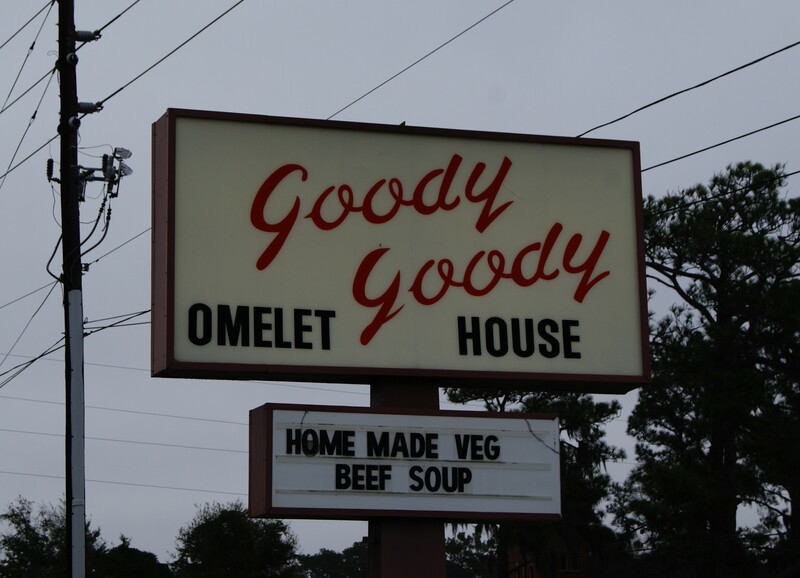 We began with breakfast at Goody Goody Omelet House, a quaint little diner that serves you – , diner type food. I have only ever seen two of their waitresses and they look as if they have been there since the establishment opened in 1977. They fit right in. Next we ventured down to the Riverwalk ~ Chandler’s Wharf of downtown Wilmington with a little sightseeing and a jaunt by the river’s edge with our main attraction being the Cape Fear Serpentarium. Yes, snakes and other reptiles were on the menu for the day. We were all excited even me. I secretly love to watch snakes, in person or in movies, just don’t ask me to hold one. The heat seamed immense with just a little breeze now and then but it was nice being by the water’s edge. So many small shops line the Riverwalk in the original mercantile buildings and warehouses. It was all so pretty and colorful! Making our way to Orange Street we entered the most spectacularly clean reptile house that I have ever seen! No kidding, the exhibits and habitats were cleaner than some restaurants I have eaten in. The reptiles looked happy. Not seemed happy, but actually looked happy and their skins were the most vibrant of colors, just as clean and pretty as their habitats. Bailey had a blast which was the point of the day. Little boys need to allowed to be little boys and do little boy things while they’re still young enough to have family fun. 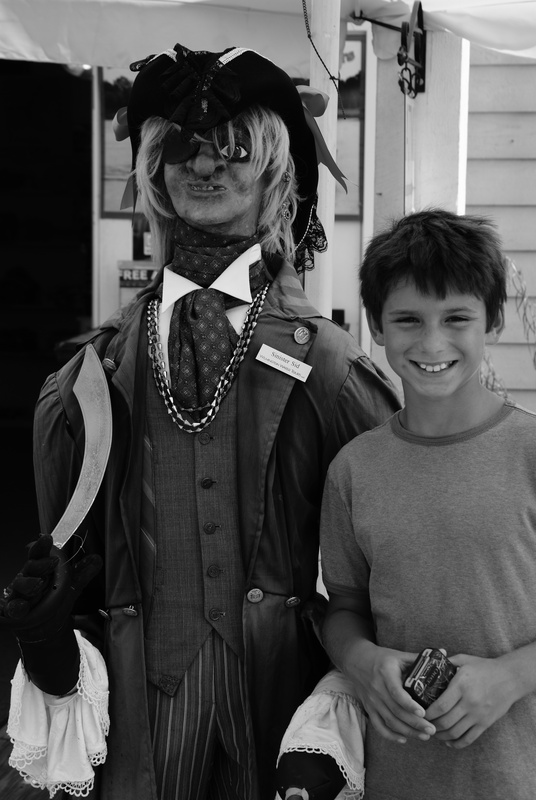 I’m glad I have my memories of outings and such because my little huckleberries grow up too fast. ~ I would love some fresh and new ideas on great ways to spend special time with children. Please share some of your memories and ideas in the comments section below. Thanks! 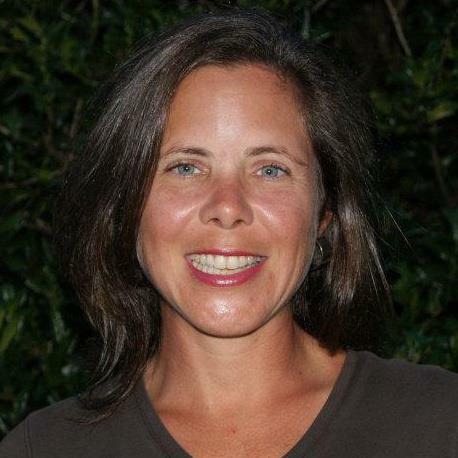 Hi I'm Jennifer ~ A wife, mommy, reader, crocheter, photographer, de-clutter organizer, writer & coffee drinker! I'm so glad you stopped by. Here you will find tid bits of things that make me happy as I wander through my life!